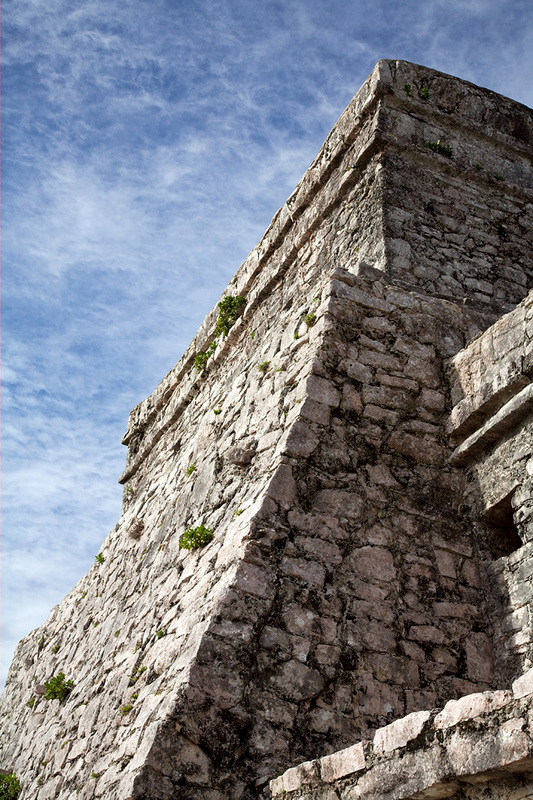 This entry is part 5 of 10 in the series Yucatán, Mexico 2006. 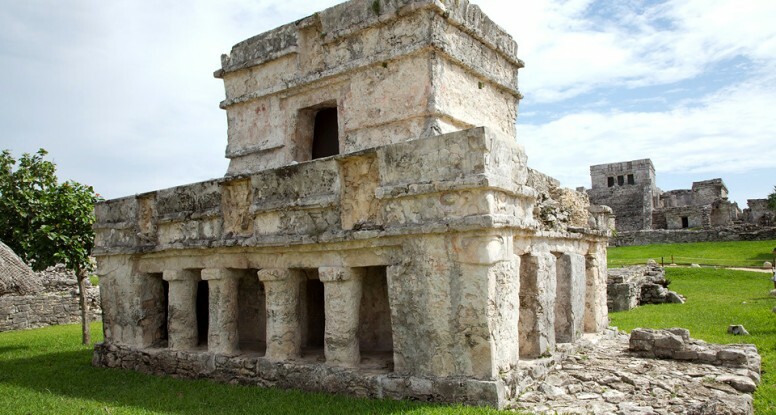 Of all the Mayan cities in the Yucatán, the walled city of Tulum is certainly the one in the most pittoresque setting – built directly at the Caribbean Sea, including sandy beaches and a natural cliff with a once completely stucco-covered and painted palace at the cliff’s edge. 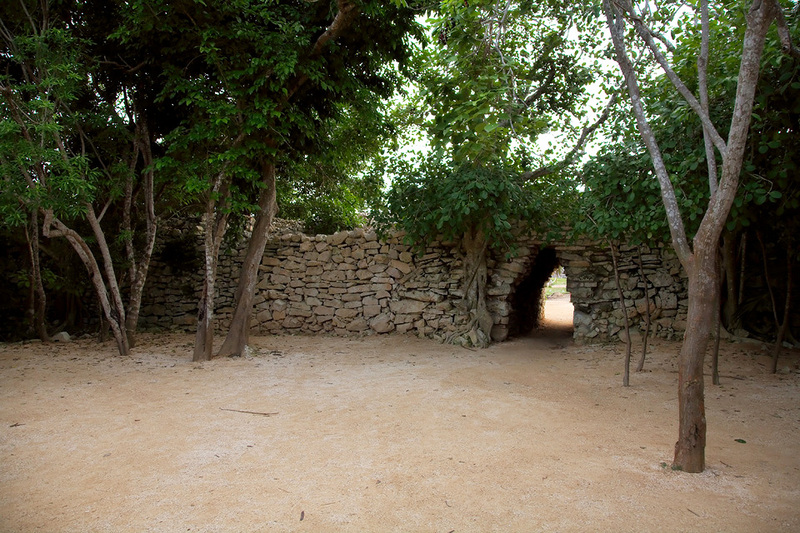 The rather small city, which was still inhabited in the 16th century at the arrival of the Spanish, had its architectural prime between 1200 and 1450, in the so called post-classic era. 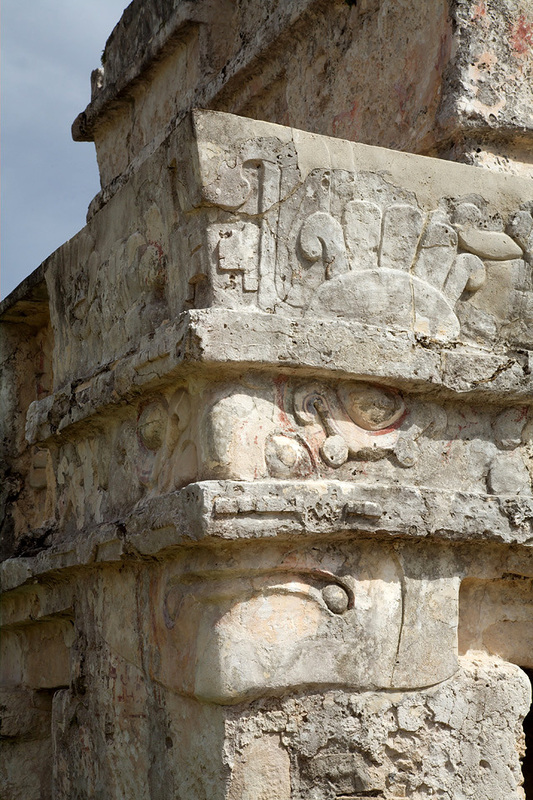 Inscriptions however prove that the place was already inhabited at least as early as 564 AD. 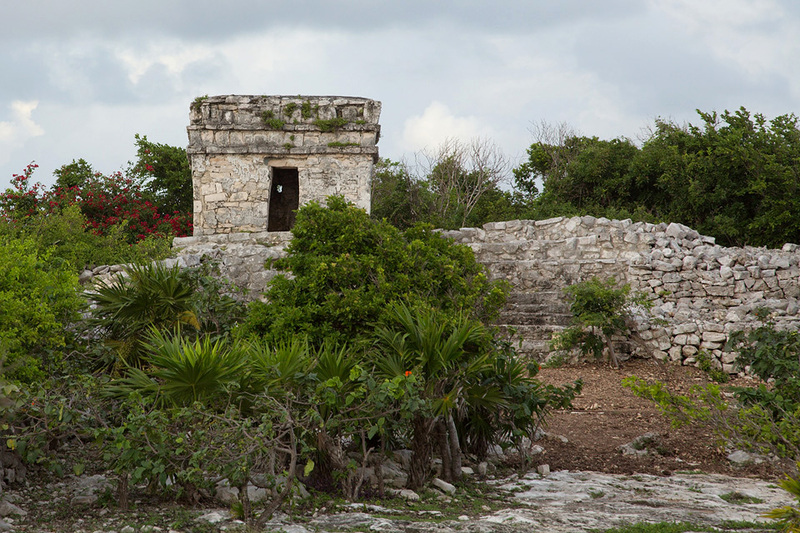 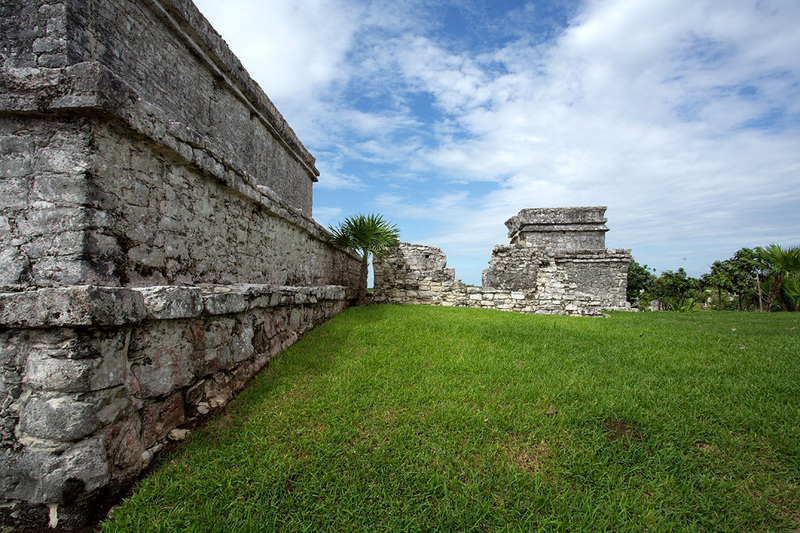 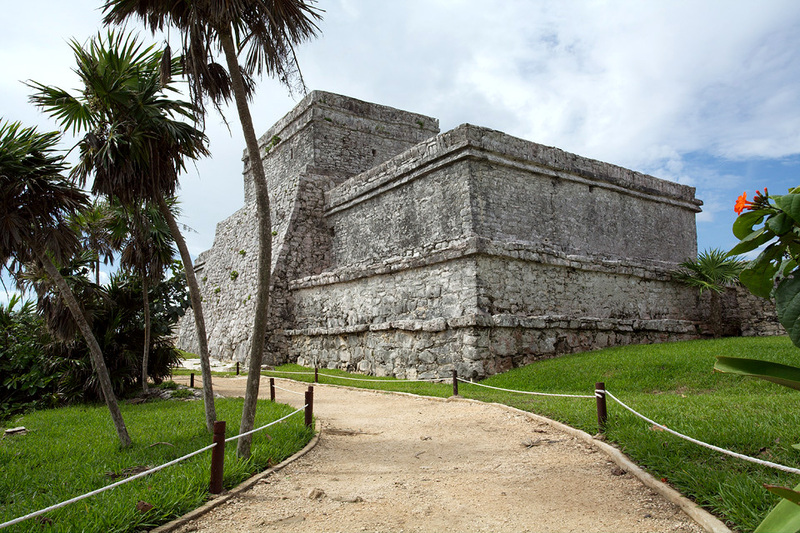 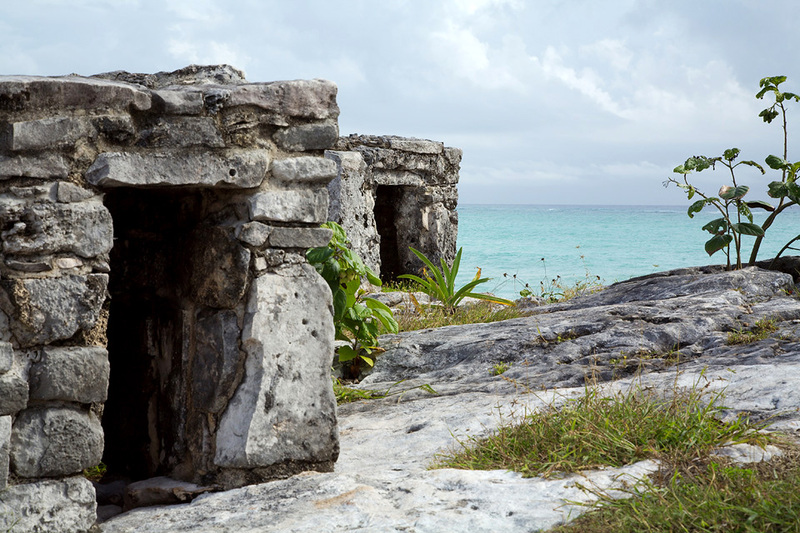 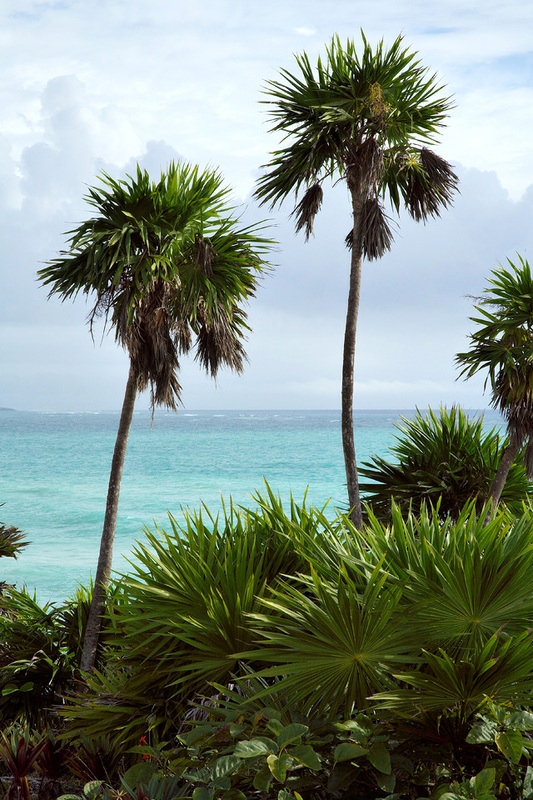 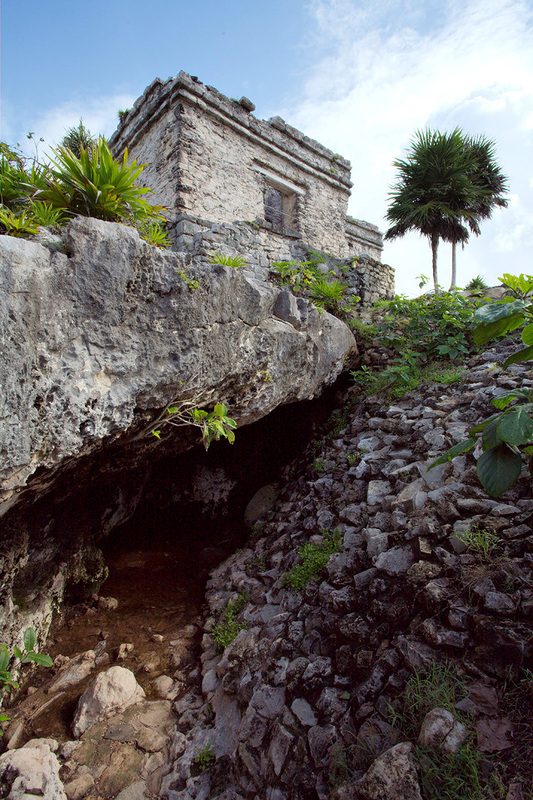 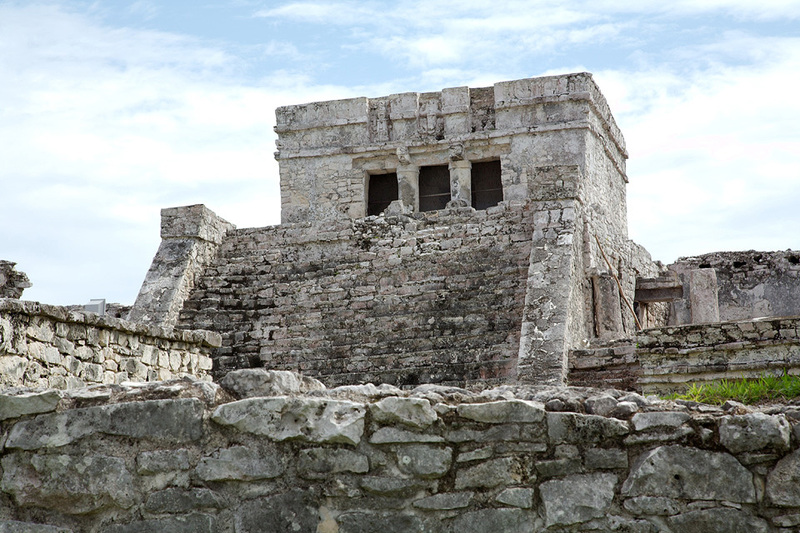 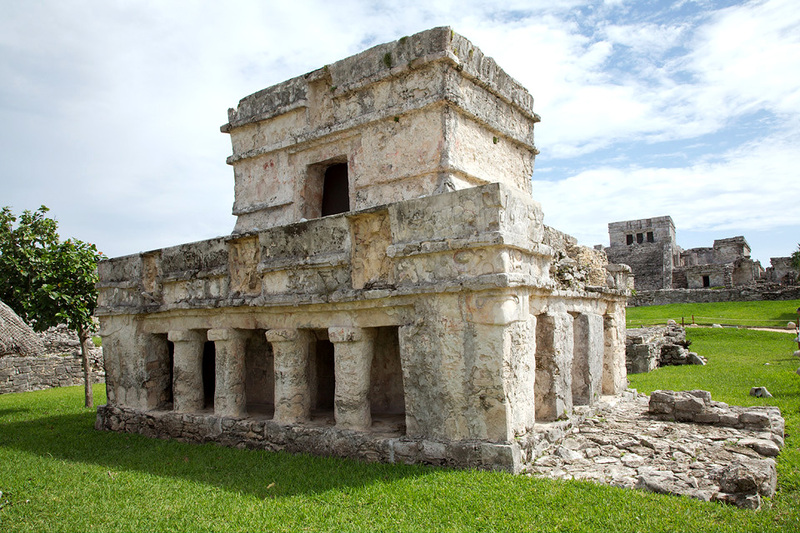 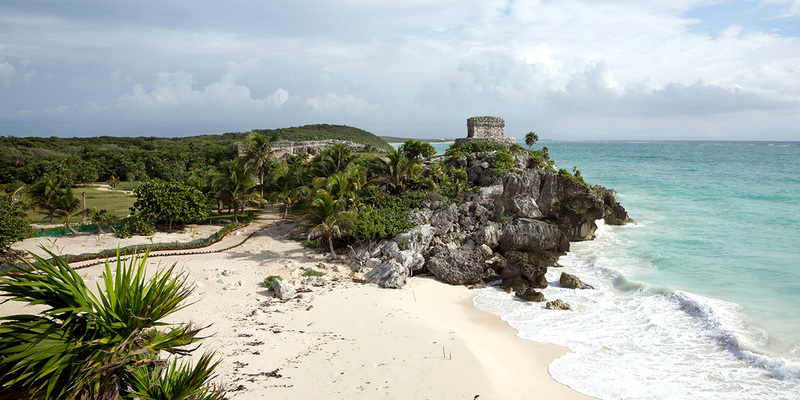 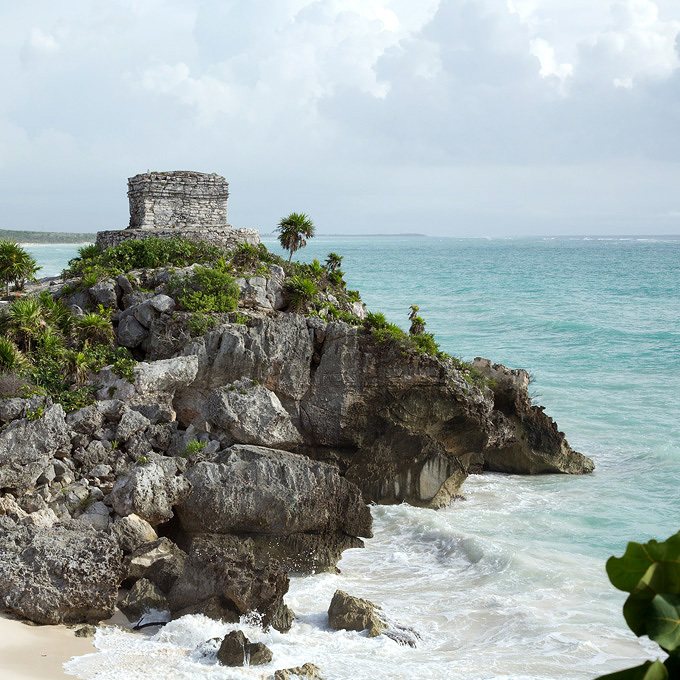 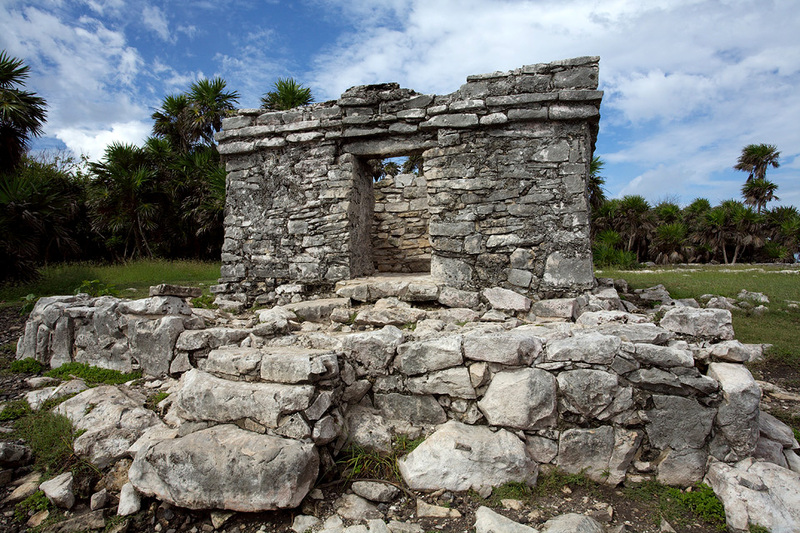 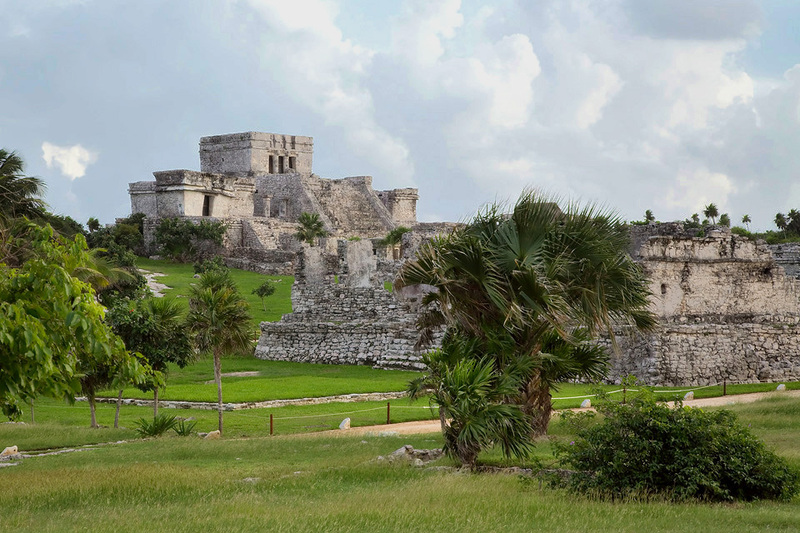 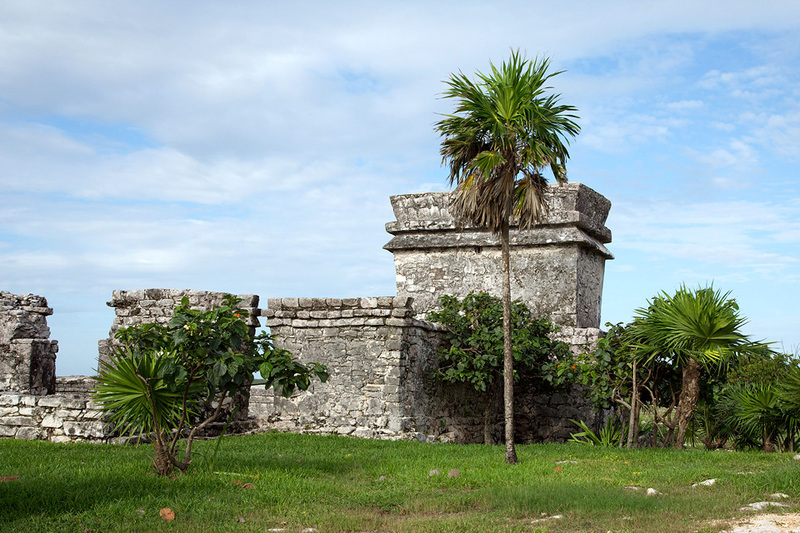 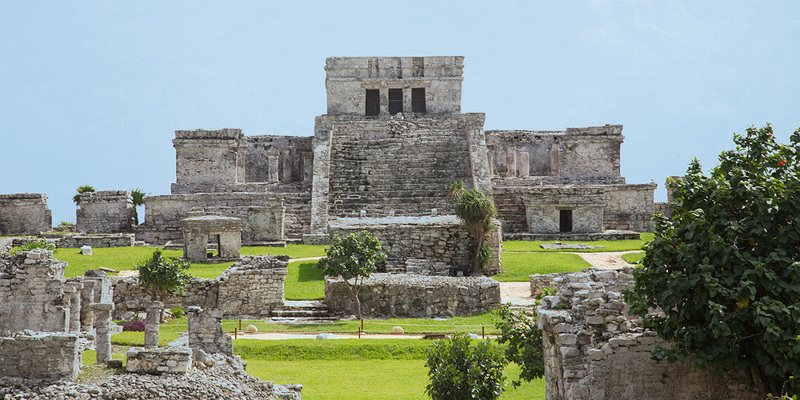 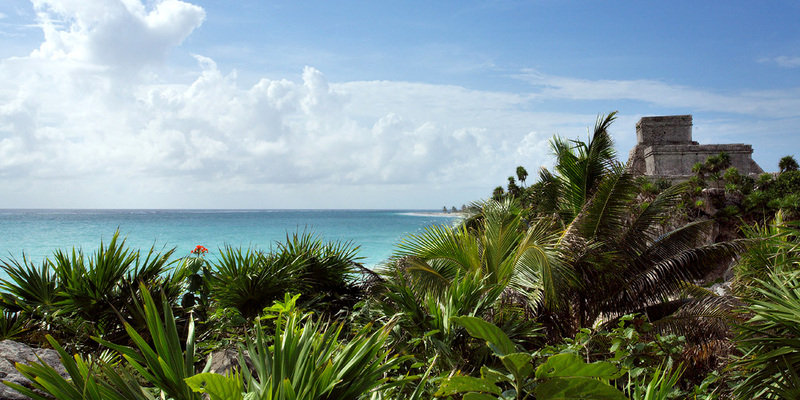 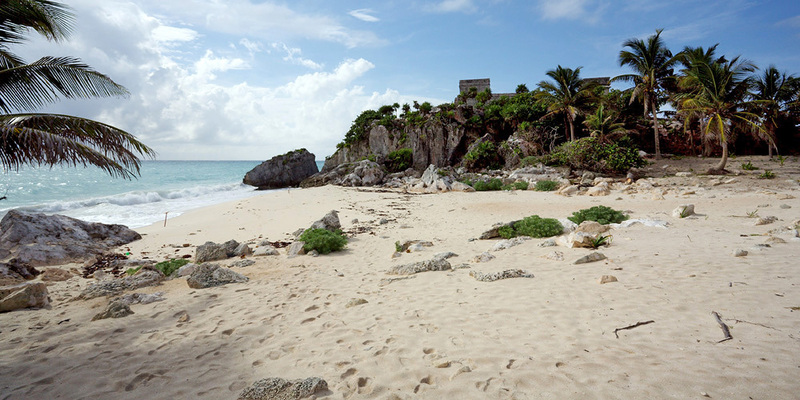 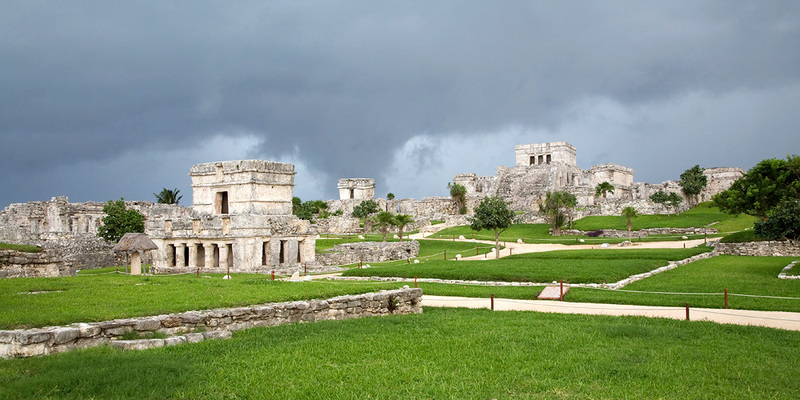 The ancient Mayan name of Tulum is said to have been “Zama”, or the city of Dawn.